Serving adults of all ages, FirstLight Home Care is a leading provider for home care, senior care and respite care in Matthews, Charlotte, Pineville and the surrounding communities. Regardless of where a senior citizen or disabled person lives, our home care services enable our clients to live high-quality, meaningful lives. Every situation is different, so FirstLight specializes in providing solutions that meet your individual needs such as senior care in Matthews for those who wish to continue living at home; home care for people living with a disability and who need assistance with daily tasks; and people who struggle with loneliness and need a caring person to spend time with and speak with. Whether you just need our respite care services for an hour of care each day or someone who can help you full-time, we’re here for you. 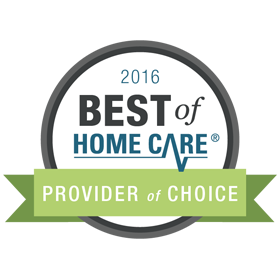 For any Matthews home care, senior care or respite care services you require, contact FirstLight Home Care Charlotte. FirstLight Home Care of Charlotte is fully certified and compliant with North Carolina state rules and regulations, and has a Registered Nurse on staff to provide even further assistance with the in-home care needs of your loved one. “When my father came home after hip surgery and rehab, I turned to FirstLight Home Care for help with caring for him at home. That was probably the best decision I ever made, because they were with me every inch of the way from that moment onwards. When my father was pronounced terminally ill, they were present to be of support to me. I will always be grateful to them for the care and tenderness they showed towards my father and this care was shown, not just by the nursing staff, but by their management also. When their executive staff showed up to read books to my dying father and watch him while I took the time to run errands, I saw how they took the motto of caring to the next level and beyond. They were present at the difficult moments during the last two months of my father’s life, and they came when the end came, and they came even after it was all over, to check on me and how I was doing.